The gift of music is a treasure. We have enjoyed insuring and protecting this treasure for over 20 years. 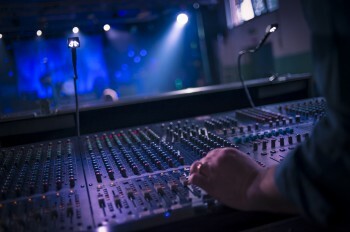 Our team works with you to find the proper coverage for your musical endeavors, whether that be retail sales of instruments, lessons for children and adults, instrument repair, or even if it is you performing at the concert itself. We are a member of the National Association of Professional Band Instrument Repair and also the National Association of Mobile Entertainers. Our national insurance abilities enable us to help you wherever the music may lead. Contact the Music Products and Musicians Program insurance staff at 1-800-942-5818 or complete the Music Products and Musicians quote request form to learn more about the program. We love insurance! And we are passionate about sharing what we've learned about the industry with you - our stories, tips, tricks and a host of valuable information gleaned over 125 years of providing insurance to families and businesses. We want you to have the tools you need to make educated insurance decisions and to use smart risk management techniques - to know what you're buying, how it protects you, and what it will mean for you if there is ever a claim.